Physical activity and athletic performance are enhanced by correct nutrition that is a vital part of maintaining a healthy body. We feel it is important to individualize your diet to your physical needs. Your body processes food in a unique way. Therefore, it is important for your eating habits to reflect this. At Fred Foster Fitness we encourage all our clients to complete a series of nutritional questionnaires and keep a two week food diary. 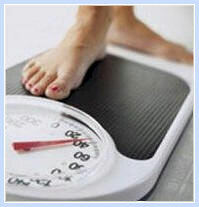 This information is used to helps us compile a diet program that is specifically designed for your body. Proper planning of a diet will help you have energy, overcome cravings, and allow you to lose weight and feel fantastic! We know that eating habits are hard to change, so we are there to give you support every step of the way. We'll provide help you shop, analyze the contents of your refrigerator and even provide some recipes. What ever you need to help you stay on task and reach your goal! Fred Foster Fitness offers nutritional counseling to help you reach your health and fitness goals. Using your personal profile, we will create a balanced meal plan designed with your specific needs and preferences in mind. Our nutrition plans emphasize a balanced ratio of carbohydrates, fats, and proteins from a wide variety of wholesome and organic foods. Nutritional counseling can be provided in unison with a training program for maximum benefit.